What is the ACCRA project about? 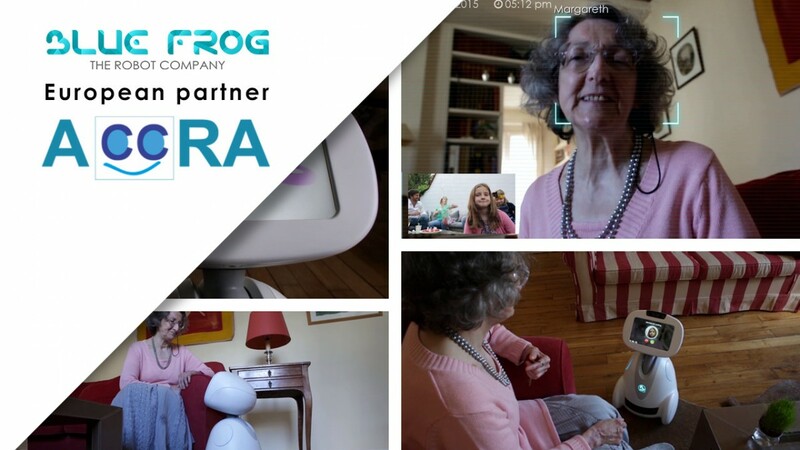 The goal of the ACCRA project is to develop robotic applications to improve the daily lives of the elderly. These solutions will be developed by the partners’ team through an agile co-creation process, involving seniors and caregivers, from different countries (France, Italy, the Netherlands, Japan). The ACCRA project is funded by the H2020 program for the European part and supported by the MIC (Ministry of Internal Affairs and Communication) and the NICT in Japan. The proposed solution will allow domestic robots (called “companions”) like BUDDY to be part of the home environment while remaining discreet but useful. In order to achieve this goal, the methodology follows four stages (needs study, co-creation phase, experimentation, maturity analysis). And at each of these stages, the seniors’ feedback will help to guide the development towards the solution that best suited to their needs. Three types of use will be considered: Movement support (walking), help with everyday life, help with conversation and its rehabilitation. These three usage applications are integrated and unified in a platform using Generic Enablers from FIWARE, then integrating them into interoperable functionalities made available by UniversAAL. This platform will support two domestic robotic solutions, Astro-Robot and BUDDY.